A large percentage of New Zealand homes are not connected to central sewers i.e. treatment of waste water occurs on-site. Due to a range of reasons, your council may require you to treat your water on site to a level far superior to that of a standard septic tank. 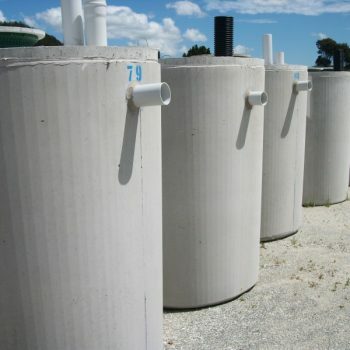 Biocycle Systems are manufactured locally in New Zealand since 1990. The first Biocycle system was installed in Australia in January1985 and they’ve been going strong ever since. Almost 30 years of proven history is testimony to the effectiveness and universal recognition of the Biocycle Aerated Wastewater System. The Biocycle model is housed in a single concrete tank with adequate capacity to treat waste water for up to 10 persons. The system features surge reduction and advanced aeration but the advantages of the remarkably simple process of the Biocycle system are how well it works and how little maintenance is required. The treated water is clear, odourless and can be reused on-site (subject to local authority approval) for applications such as watering trees and other plated areas. In technical terms the Biocycle has been designed to process waste water to achieve typically 95% reduction in both suspended solids (TSS) and biological oxygen demand (BOD5). The Biocycle system is one of the very first of its kind in New Zealand and is still going strong today. The system has recently been put through the OSET Testing Facility and achieved very good results. The Biocycle is an aerated treatment tank system which uses totally natural biological processes to treat the waste water. It consists of a set of 4 chambers which perform various treatment processes on the waste stream. 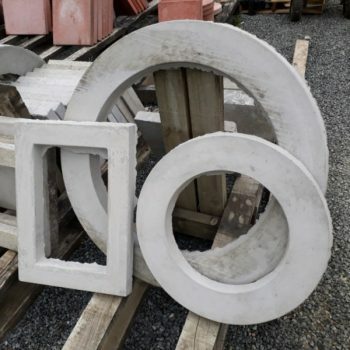 The Biocycle uses high quality components, and all internal chambers are solid concrete for durability. All internal fixings are marine grade 316 stainless steel to ensure long life. The electrical control component is simple and hard wired and does not contain complex controller that can be prone to failure. The Biocycle control system is extremely reliable. The systems use an 80 litre blower that has the ability to be completely re-kitted and parts are readily available. The de-watering pump is the very respected Davey D42a submersible irrigation pump. The Biocycle systems are delivered as a complete S/C is a compact sewage treatment system housed in one concrete tank. It is intended to treat domestic waste water from single households with adequate capacity to treat waste water for up to 10 people. 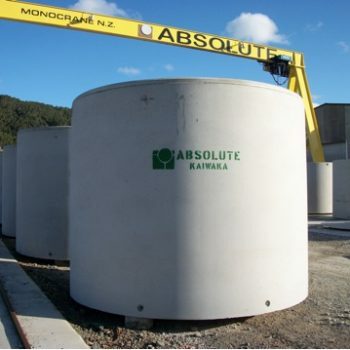 The Absolute Concrete precast tanks. They are simply installed in-ground and then connected to the household plumbing system and to the power to run the air blower, electronic alarm control unit and the irrigation pump. The system is then ready to irrigate to an area usually approved by local council. The Biocycle units are producing water to the “ADVANCED SECONDARY” level – This is the most common unit that we sell as it produces a very high quality discharge suitable for sites that are near a waterway or where sites are environmentally sensitive. It is important to realise that on-site waste water systems require regular inspection and maintenance to ensure that they function effectively and the system must be operating correctly to ensure that the health of your family and the community are protected at all times. Absolute Concrete will provide options for an ongoing maintenance program for your peace of mind. This will ensure that your system continues to operate as designed, warranties are protected and the unit will continue to function correctly in the long term. It is useful however for you to familiarise yourself with the system so that you understand the general operation of the unit but it is likely that council will need a maintenance contract in place as part of your building consent. Water first enters the primary pre-treatment chamber where organic and inorganic solids settle to the bottom and fats and other floating matter forms a scum layer on top of the liquid in the chamber. A sludge layer builds up in the chamber and a biological process takes place i.e anaerobic bacteria digest the sludge and break down some of the organic matter. Fluid is decanted from the pre-treatment chamber through a baffle or filter to eliminate the passage of grease and floating matter. Whenever liquid enters the pre-treatment chamber, waster water flows by hydraulic displacement into the aeration chamber. In this chamber air is introduced through fine diffusers which serve to stir the contents of the tank whilst some air dissolves to provide oxygen for aerobic bacteria to thrive. These bacteria form as a bio-film on the submerged media and float in the solution. Aerobic bacteria are far more efficient than their anaerobic counterparts and the effluent is converted into clean, clear water through aerobic digestion and oxidisation. This process is odour-free. Liquid from the aeration chamber flows into the clarifying chamber where the solution slows to enable any suspended particles to settle to the bottom. Periodically the accumulated sludge is returned to the primary treatment chamber to ensure more complete digestion. This return process is automatic. Treated water now flows through to the final irrigation area. At this point clean water is automatically and silently discharged into the land application system. Land application systems vary according to individual situations and are most commonly made up of pressure compensating dripper line but can also be in the form of surface sprinklers, subsurface irrigation, sand filters or other innovative systems. Your local council will decide this. Depth Approx. 2400mm Width Approx. 3000mm Invert below ground 500mm or 1,850mm from base (Options for more fall are available if required). Absolute Concrete can suggest a maintenance person in your area if required, or you could contact your local council for a full list of licensed service personnel. The owner/tenant of the property should ensure safe passage for the Service Technician. Any animals that may pose a danger to the service technician should be locked up or penned during servicing. The owner/tenant should provide a key for the Service Technician if there are any locked gates which prevent entry to your property. The owner/tenant should ensure that the area around the Biocycle System is kept neat and tidy at all times. The owner/tenant should monitor the irrigation sprinkler system to ensure all spray jets are working properly. (The owner/tenant will be required to replace or clear any blocked or broken sprinklers). This work can also be arranged to be completed by a maintenance technician but will be charged additionally to any maintenance. The service technician will clean the filter every three to six months depending on the contract, this is critical to ongoing performance of any system. The owner/tenant should ensure prompt payment of any service or repair accounts. The owner/tenant should not allow painters / cleaners etc.. to dump paint chemicals etc.. into the drains whilst working on site and any household cleaners/chemicals should be used in moderation to avoid harming the good bacteria in the system.